A glider in flight is continually descending through the air, and unless rising air can be found there will soon be the need to land. The rate at which the glider descends - the glide ratio - depends on the aerodynamic design of the glider, most especially that of the wing. Typical glide ratio for a training glider is 26:1 while the most expensive gliders exceed 60:1. 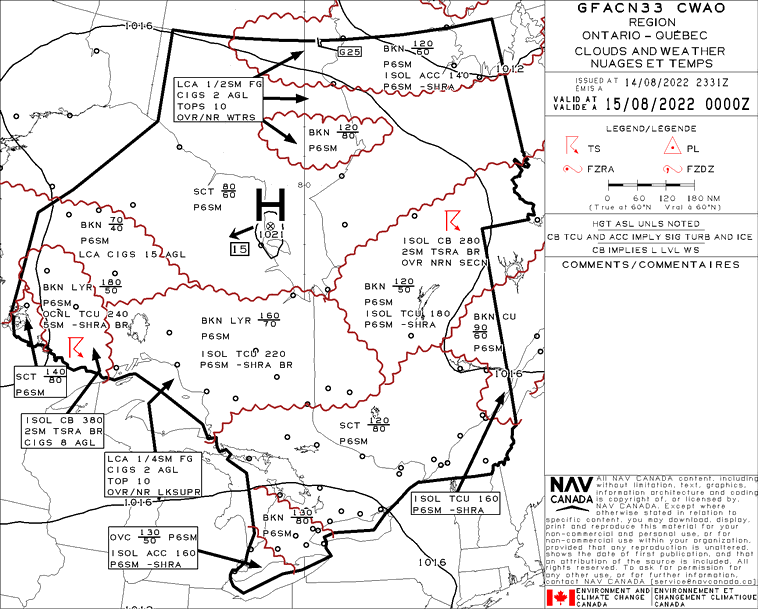 Maximizing time in the air requires the glider pilot - especially on a cross-country flight - to plan with knowledge of current and developing weather conditions along the intended route. With proper planning, the glider returns to the home air field for a normal landing - otherwise an unplanned, but perfectly safe, landing in at another airstrip or in a farmers field (we call that a land out) are other options. Depending on the situation, the club tow plane can be dispatched to relaunch the glider from the field, or the glider dismantled and trailed back to the home air field. Convergence Zones narrow bands where air masses with different wind directions come together: the air has no where to go but up. Convergence zones in Ontario are found north of Lake Erie and east of Lake Huron, when the land breeze off the water meets weather system winds travelling in the opposite direction. 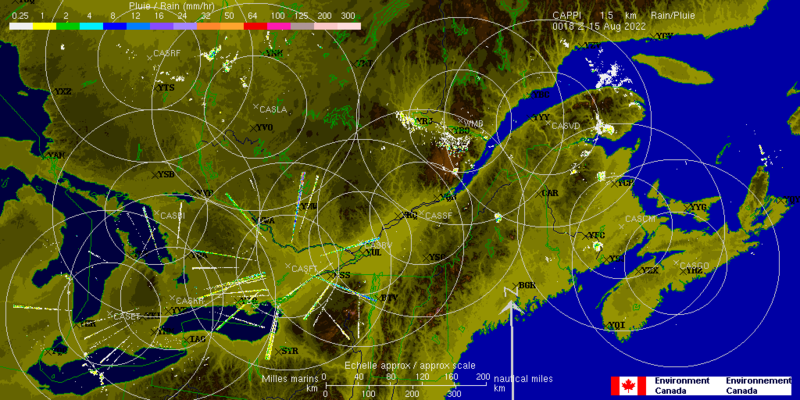 Some glider pilots may become interested in meteorology (lots of math, charts, and research) - here's an article from Bluenose Soaring Club in Nova Scotia Weather Analysis for Soaring. Aviation weather reports are given in "Zulu Time", traditionally known as Greenwich Mean Time or Universal Coordinated Time. If images do not load, you need to get a cookie from Dr. Jack.